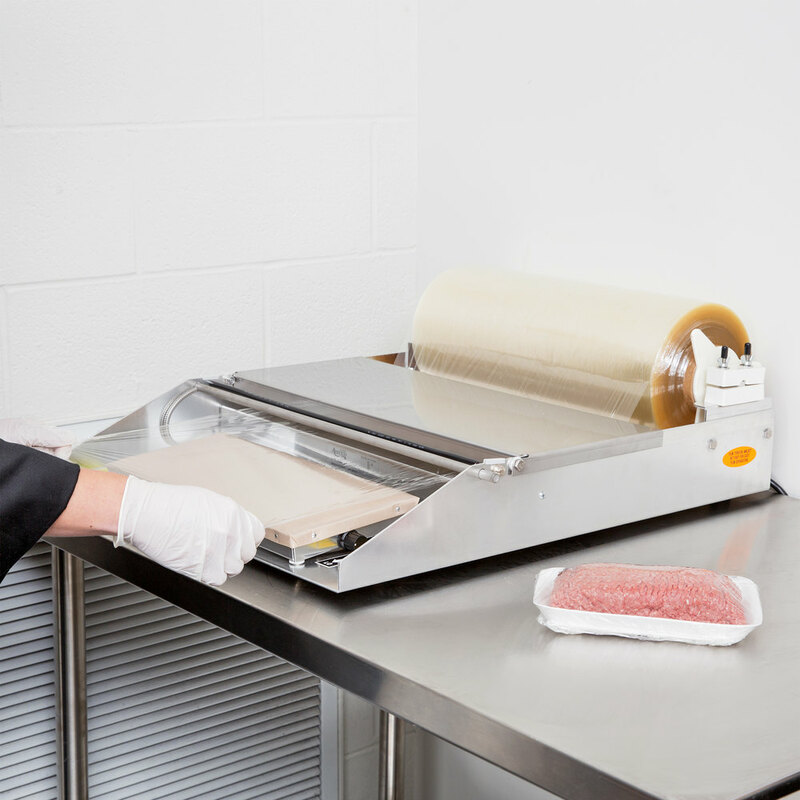 Quickly wrap and store food in your grocery store, deli, or restaurant with this Avantco WM-18 single roll film wrapping machine. 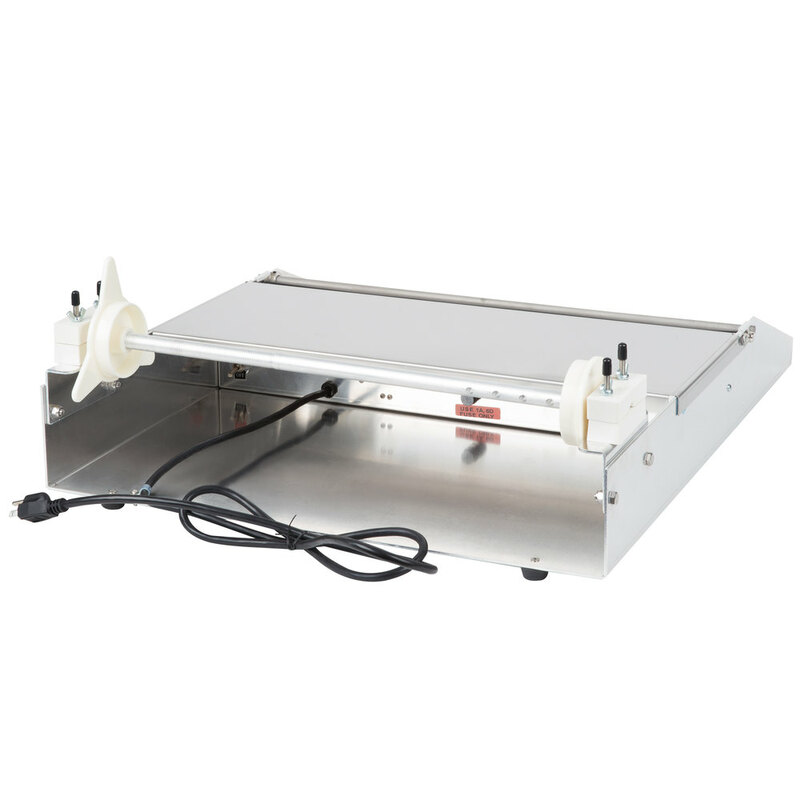 This unit features a 6" x 15" Teflon®-coated hot plate with 750 watts of heating power, providing an air-tight seal for your wrapped food that preserves freshness. 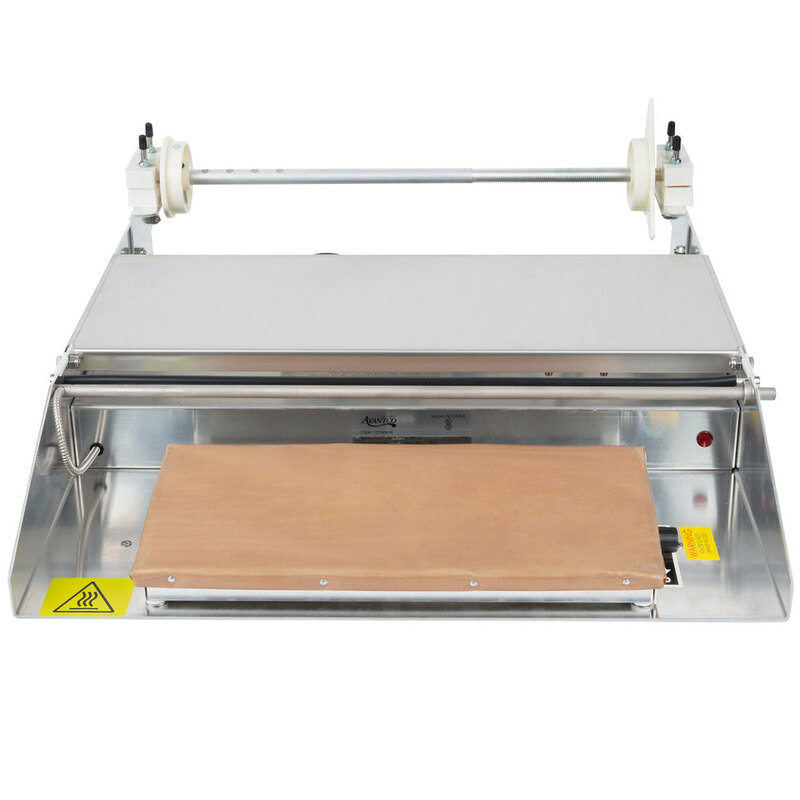 Perfect for fast-paced applications, the plate is heated to provide dependable warmth for effortless sealing, plus a stick-resistant design eliminates the potential for your wrapping film to tear or slip off the unit's surface. 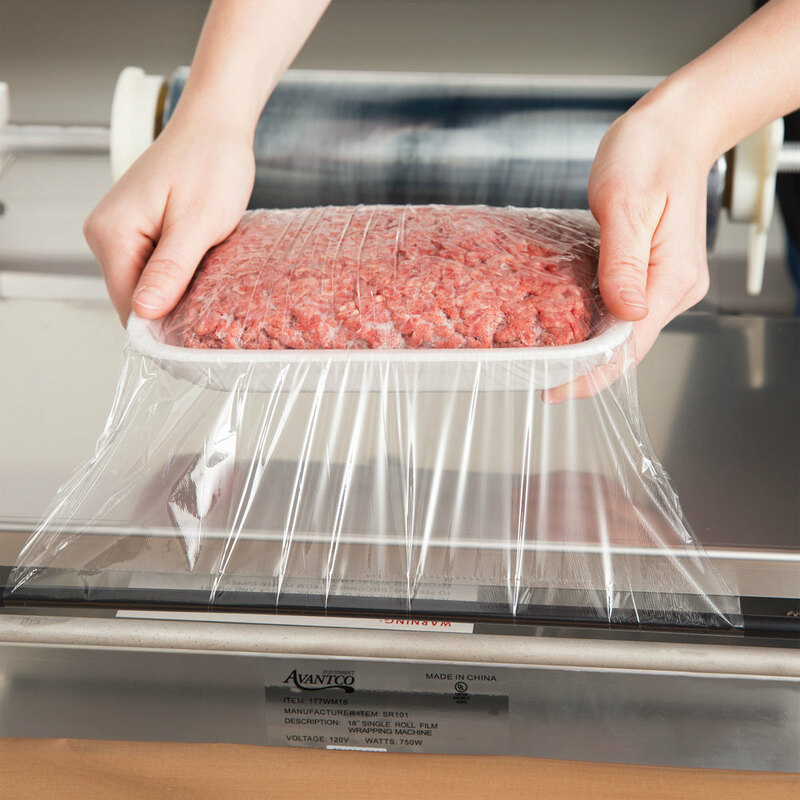 This versatile machine can hold one roll of plastic wrap up to 18" long with an 8" diameter and 3" core. 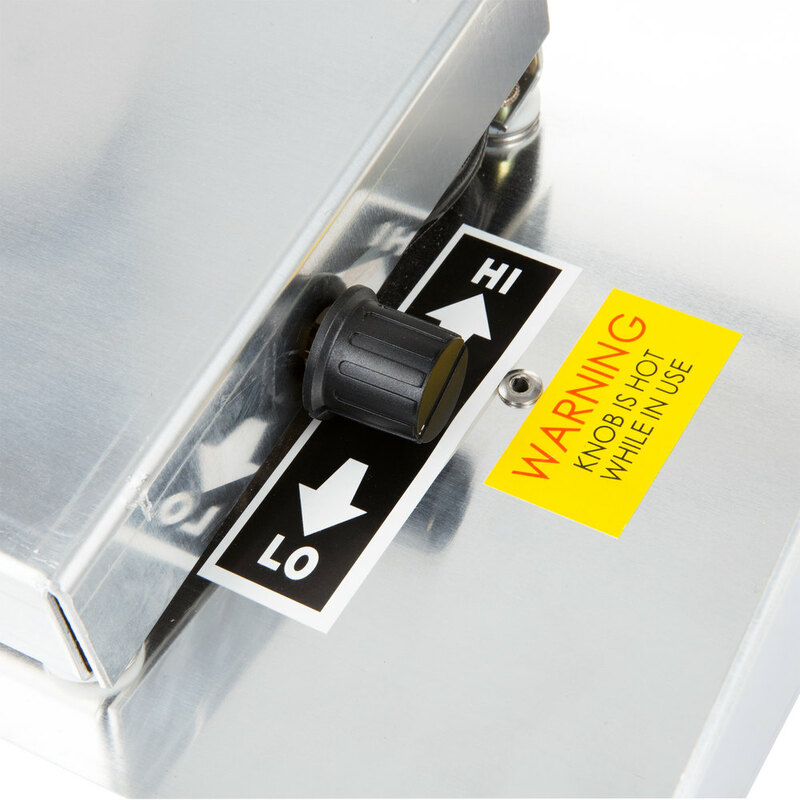 Stainless steel construction ensures long-lasting durability, while easy-access on/off toggle controls add extra user convenience. 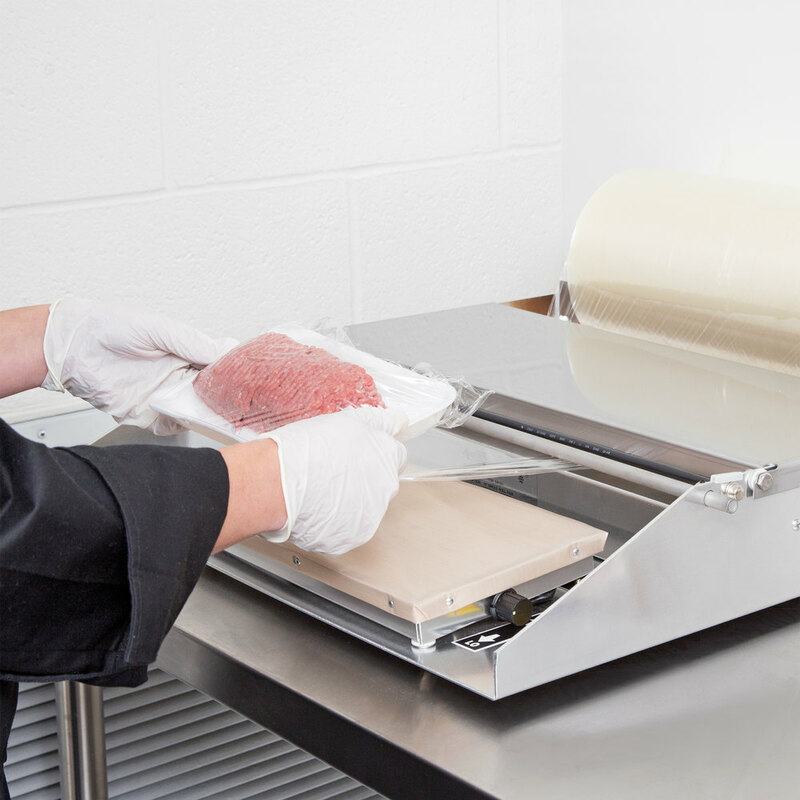 Perfect for fast and easy wrapping tasks that instantly increase the freshness of your operation's offerings, this unit will serve as a welcome addition to any prep area. 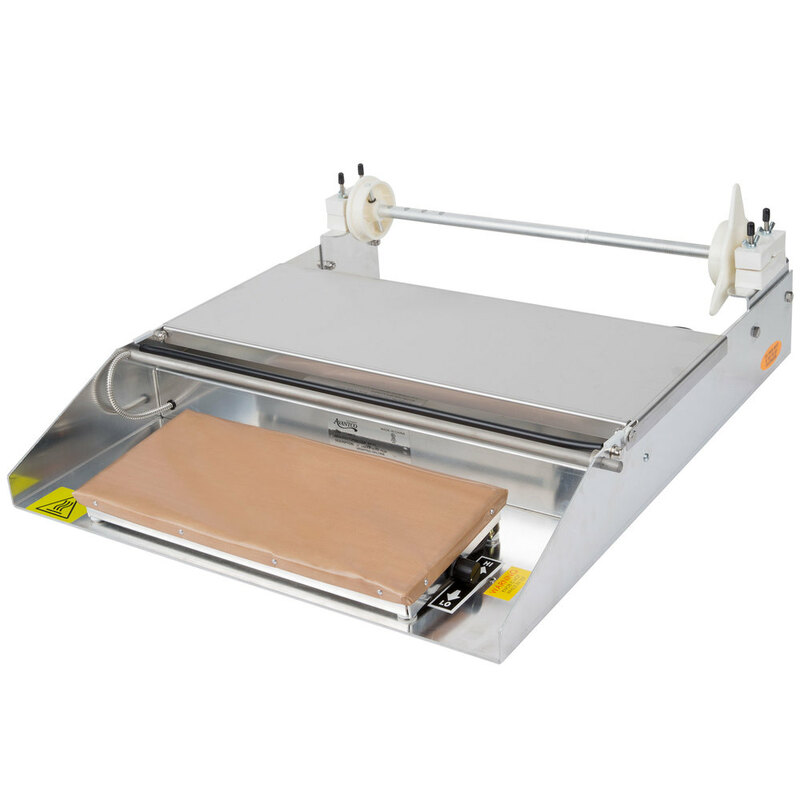 The Avantco WM-18 wrapping machine requires a 115V electrical connection. We use this wrapping machine a lot during the holidays to prepackage cookies for our bakery case. We also use it to package pepperoni rolls with sauces for grab-and-go lunches. Only concern is that the cutting bar does not get very hot at one end which slows down the wrapping. Otherwise, a great machine at a great price. I bought this for use in my butcher shop. It performs as it should. No frills. It just gets the job done, which is what I was after. This is a suitable option to the more expensive versions. Works great for every day use. I seal several dozen individual cookies and pastries each day. Hasn't let me down. This is actually a great hand wrap machine. There is no discernible difference between it and the name brand unit. I would suspect it's actually made by the same company. Best part is it comes at a discount over the name brand one.